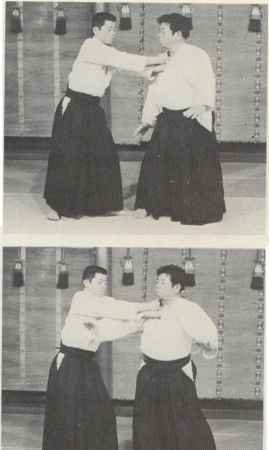 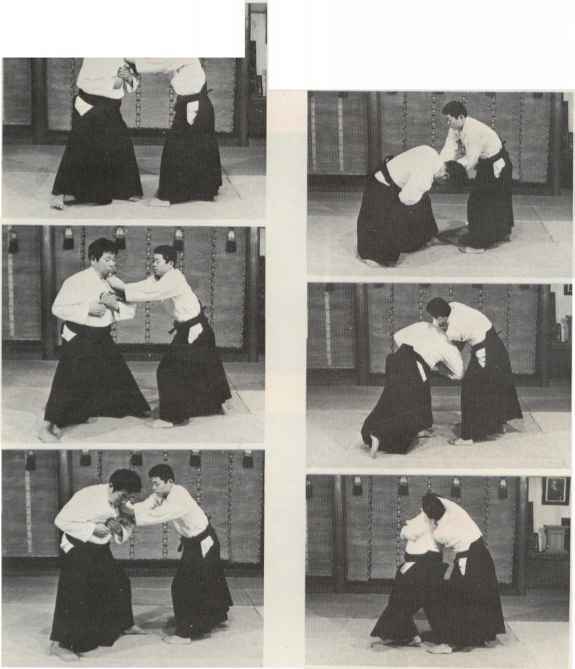 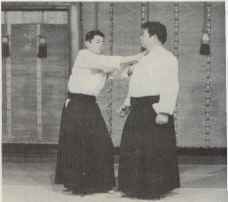 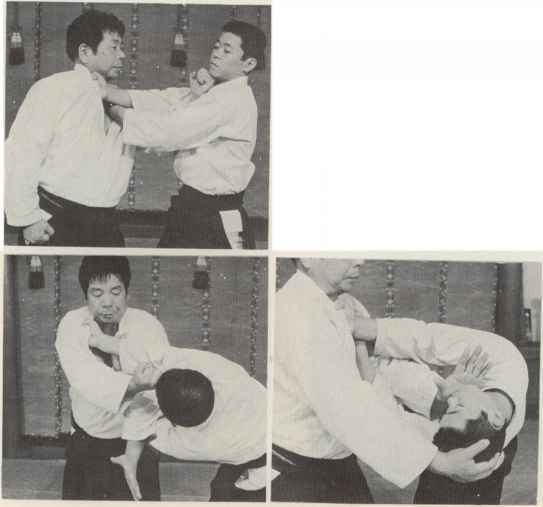 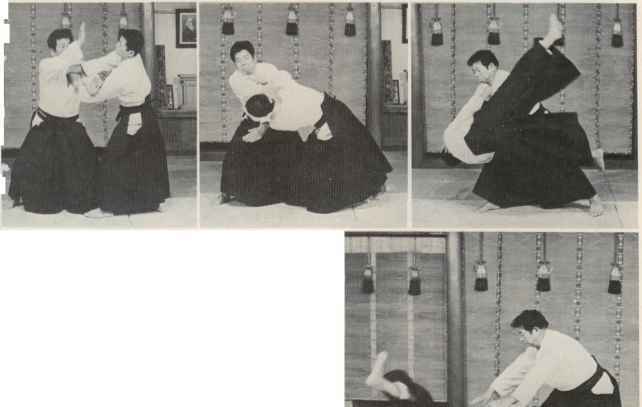 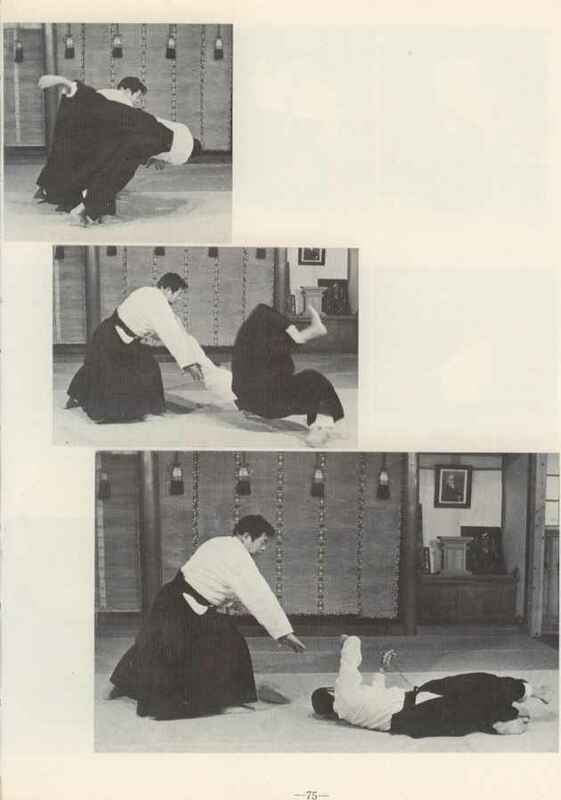 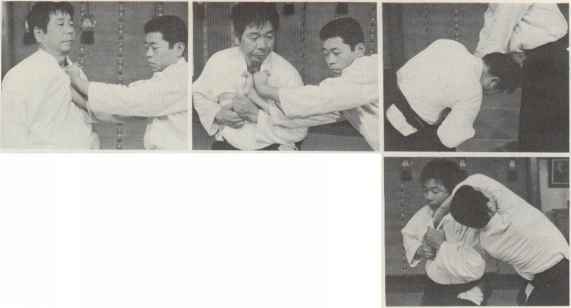 When your partner seizes your collar with his hands across each other and tightens his grip, grasp your collar with both hands, maneuver your body in such a way that his hands are held captive and unleash a throw. 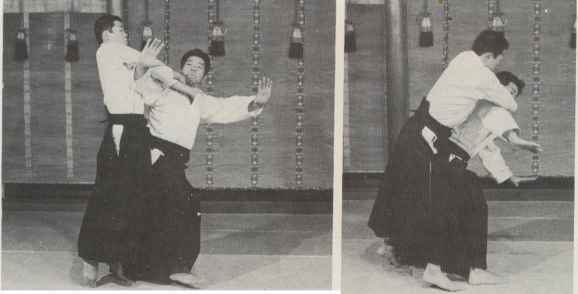 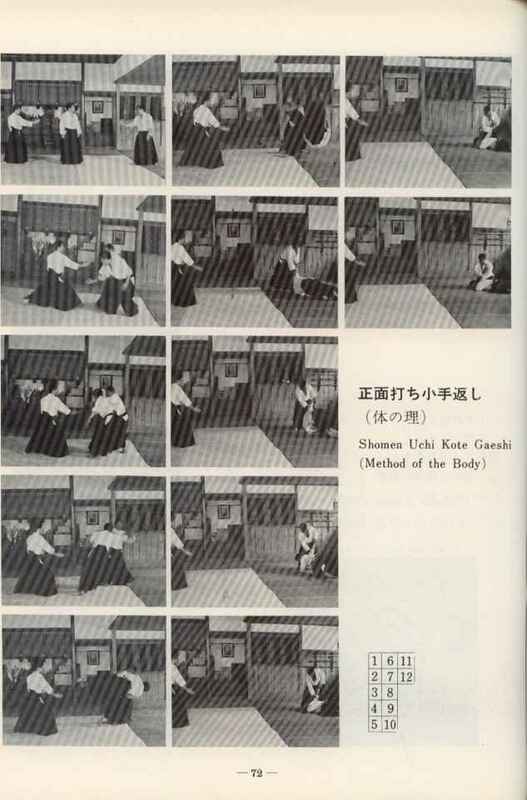 Feign a blow to your partner's face from in between his arms and control his elbows with your striking hand prior to a throw. 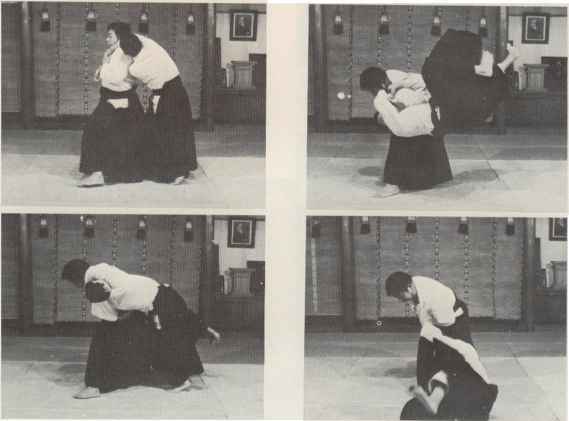 While bringing your partner's elbows under control, turn your body obliquely to slip to the side and throw him down.